The cocktail and carrot reception had been underway for some time and the Wabbit waited for new recruits with a glass of welcoming aperitivo. He began to tire and thought of drinking it himself - when in hopped a likely candidate. "Welcome!" boomed the Wabbit. "Please partake of liquid refreshment." My name's Bunky," said Lapinette, taking the glass. "It's Bunky Green." 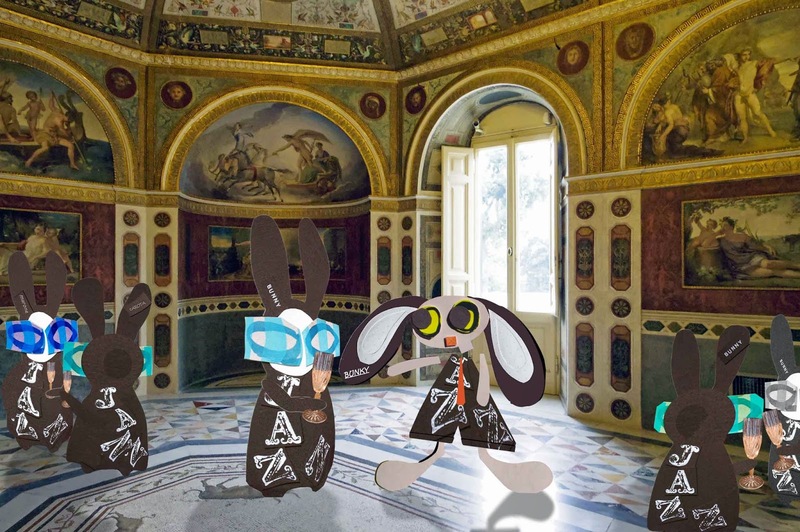 "Our Carrot Club is your Carrot Club," said the Wabbit. Lapinette effected a male pose and looked around. "Isn't this a cocktail and carrot reception?" "Yes." said the Wabbit. "So where are the carrots?" "In the cocktails," smiled the Wabbit. They nodded amiably but the Wabbit nodded harder. "I was hoping to greet a few female recruits." Lapinette gulped and the Wabbit stared hard at her ears. "Don't I know you from somewhere?" Lapinette thought fast. "The soccer stadium?" The Wabbit's face fell. "Perhaps you know of females with a passion for carrots." Lapinette grinned a lop sided grin. "All the females I know are interested in artichokes." "They don't like carrots?" asked the Wabbit. "I've really no idea," gasped Lapinette, draining her aperitivo much too quickly. The Wabbit took her glass. "Tell our members about yourself while I'll fix you another drink." He vanished and everyone turned to look at Lapinette. She adopted a solemn stance. "I was arrested during the Carrot Riots."